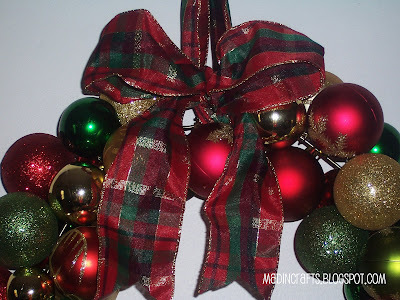 I saw this gorgeous wreath idea at nannygoat last week and just loved it. When she wrote that the materials were from the dollar store… all my crafting bells went off. I hopped in the car and took off for the Dollar Tree fearing they would be all out of ornaments when I got there. Crafting is serious business, folks. The only tips I would add to nannygoat’s directions would be 1) expect the ornaments to pop off of their hooks and go rolling across the floor and underneath all your furniture, and 2) if you are willing to deal with chasing after rogue ornaments, DON’T glue the hooks on to the ornaments. That way if you don’t like the bunching of colors or whatever, you can switch out one ornament for another without unstringing the whole wreath. That ribbon is one I found for cheap last year and used on my tree. I hope I can find the rest of it when it comes time for decorating this year because I want to center my color scheme on it. Especially since I found these placemats at the Dollar Tree too. 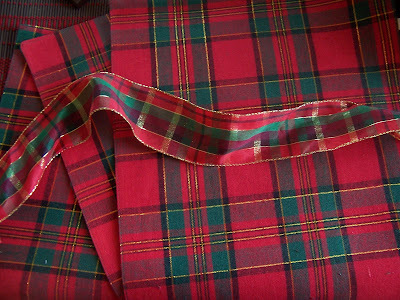 I’m thinking table runner. What do you think? This is awesome! 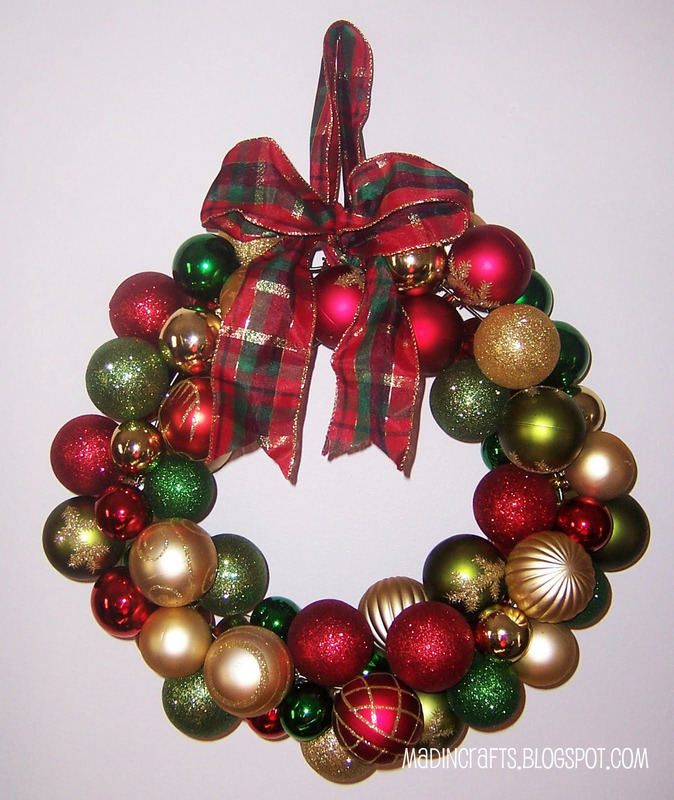 I just got my old wreath down from the attic and it was broken so I need a new inexpensive one. I can totally make this by myself. I'm so excited. Thanks! 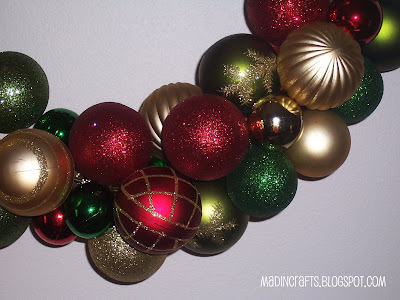 Love the wreath – pretty tones of bulbs, and great tips for making it. I got this placemat yesterday at my dollar store and thought I could make a pillow with it (since it is two pieces…which most of their christmas ones aren't.) I also thought about using freezer paper/fabric paint to monogram an initial on it first. I totally want to make one of these this year…. not sure if I will have the time. Love yours! !